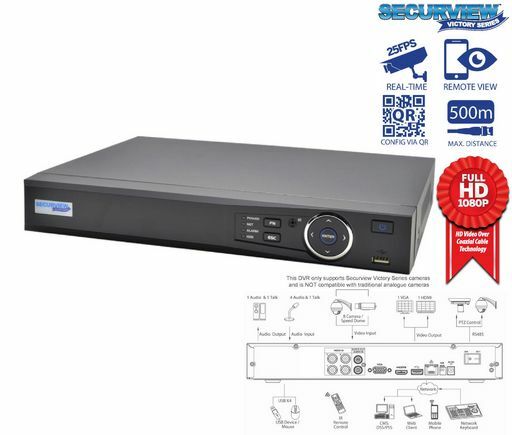 Securview Professional Series HDCVI DVRs: The most compatible surveillance systems available, with support for HDCVI, HDTVI, AHD, Analogue and IP video inputs, this DVR is the perfect choice for any retrofit, upgrade or CCTV-on-a-budget installation. The CVR4V6 is a 4 channel HDCVI (high definition composite video interface) DVR capable of 1080p full HD recording over coaxial cable. It features 1x internal SATA port for up to 10TB of HDD storage and has 1x HDMI and 1x VGA video output. This DVR also features comprehensive remote view capabilities (iOS, Android & Windows Phone) and backup functionality (USB/network). This DVR supports Securview Victory Series cameras and is also compatible with traditional analogue cameras. HDCVI (High Definition Composite Video Interface) is an over-coaxial-cable analog HD video transmission modulation standard which includes audio, video and I/O data in the one coax. 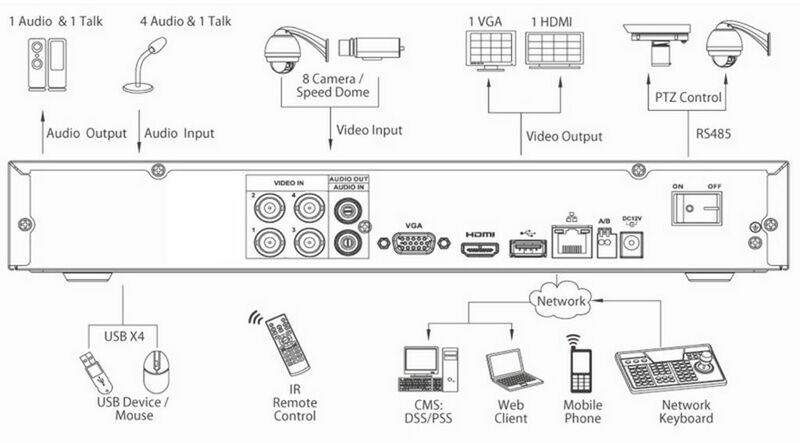 HDCVI renders quality image Hi-Def video formats 1080p or 720p progressive scanning. Two-way data transmission for extended features including Alarm, PTZ, etc.